Heidi lives on 53 acres in north central West Virginia with her husband and two children. She is the writer of The House on the Hill and today she is sharing her homesteading journey with us. I grew up on a farm, so you would think that this whole homesteading thing would have been a natural thing for me. But, moving away to college and to a bigger city, I lost my roots for a few years. That, and as a teenager, I never cared to learn about canning and preserving, gardening, or cooking – I always chose my horses over those things. As a senior in college, I embarked on a weight loss journey. I had always had a weight problem as a teenage and finally decided to make a change to get healthy. Part of that journey included really examining my food choices as well as where my food came from. My husband and I joined a CSA before they were the “cool” thing to do. I learned how to cook and bake. We had a small garden in the city. We knew we wanted to raise our kids in an environment where they would grow to appreciate their food and the work that goes into good, wholesome nutrition. We stumbled upon our property around our first anniversary. There was an ad in the weekly circular that came in our town’s mail for a 22 acre plot of land. We quickly made an appointment to go see the acreage. When we got there, we realized it wasn’t what we had hoped as it was all wooded. As my husband was walking the perimeter and the owner was showing me around on his UTV, we happened upon our 53 acres. It’s on top of a hill in the mountains of West Virginia, with no other homes in site. We were sold and I do believe it’s the quickest decision I’ve ever seen my husband make! It was raw land and we were in the process of remodeling our house in the city, so we decided to wait a few years to pursue building a house. Wouldn’t you know about a week after we closed on the property, we found out we were pregnant with our son! We decided to finish the remodel on our house, put it on the market, and begin construction on our farm. We went through so many iterations on what kind of house we wanted. We investigated yurts, geodesic homes, cob construction. We wanted to go off grid, as we have excellent southern exposure. But, since we aren’t independently wealthy and knew we would need a mortgage, we were unable to find a bank that would lend us the money unless we were tied into the grid. But, taking advantage of our southern exposure wasn’t a complete loss. We decided on a passive solar designed home, we now utilize the sun to heat our house in the winter. Building our house was a crazy, insane, blur of a time in our lives. We chose to build it ourselves, with the help of some friends and family. My husband is a full-time software engineer, so he would work 4 long days at his regular job and we’d spend 3 days at the house. We moved into the house on Memorial Day weekend – the house was livable, but nowhere near finished. We moved in on Saturday, brought our shelter pooch home on Sunday, and found out we were pregnant on Sunday. The last one was NO WHERE on our radar and an utter and complete surprise. We finished the house by the fall and welcomed our daughter the following February. The first full year on our homestead was spent adjusting to life with two kids, as well as life on 53 acres. I got a clothesline for Mothers Day the first year here and that was one of our first things besides our house that we added to our blank slate. We plotted out our garden, which is 40 x 60. We’re great with several things, but seemed to have the best luck with dried beans, kale, and potatoes. We are still learning our soil, as it is an interesting mix that includes a lot of clay. Since our house has a root cellar and large walk in pantry, we have some pretty big goals for our garden. We’re canning and freezing our harvests and hope to one day have our cellar full of canned goods, potatoes, squash, and other root vegetables. We added chickens to the mix last spring. We have 18 hens and one rooster. We have a motley crew – some Buff Orpingtons, Black Australorps, a Speckled Sussex, Barred Rock, and a few other breeds. They are a lot of fun and we hope to add some more to our flock this spring, as well as try our hand at a flock of meat birds. We are currently making plans for our orchard and vineyard. My husband hopes to make wine from his own grapes, so he’s been busy investigating the best wines for our region and hardiness zone 6. He’s already been busy working on homebrewing beer and has made several batches of wine from pre­packaged kits, but is chomping at the bit to use his own fruits. We have a few apple trees around, which are in desperate need of pruning and also several wild blackberry and black raspberry plots. We love living this lifestyle. I bake and cook from scratch – I’m usually baking some sort of bread at least every other day. I’ve learned how to make my own flour tortillas and make all of our own sandwich bread. We have a wood stove as back up heat. I make all of my own household cleaners using vinegar, baking soda, and essential oils. Our son has a sensitivity to food dyes, so we are super vigilant about any prepackaged food that comes in our doors. I knit, have a lap loom for weaving, and recently got a sewing machine for Christmas. While I do have a master’s degree in Chemistry, I have chosen to stay home with my kids and have plans to homeschool them. 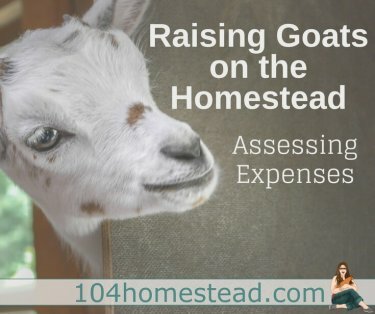 Homesteading and homeschooling seem to go together nicely and I’m anxious to see how it all ties together. We look forward to seeing how much food we are able to grow in our garden and continue working on our goal of self-sufficiency! Thanks Jess, for sharing Heidi’s Story. Thanks Heidi for sharing your journey with us.